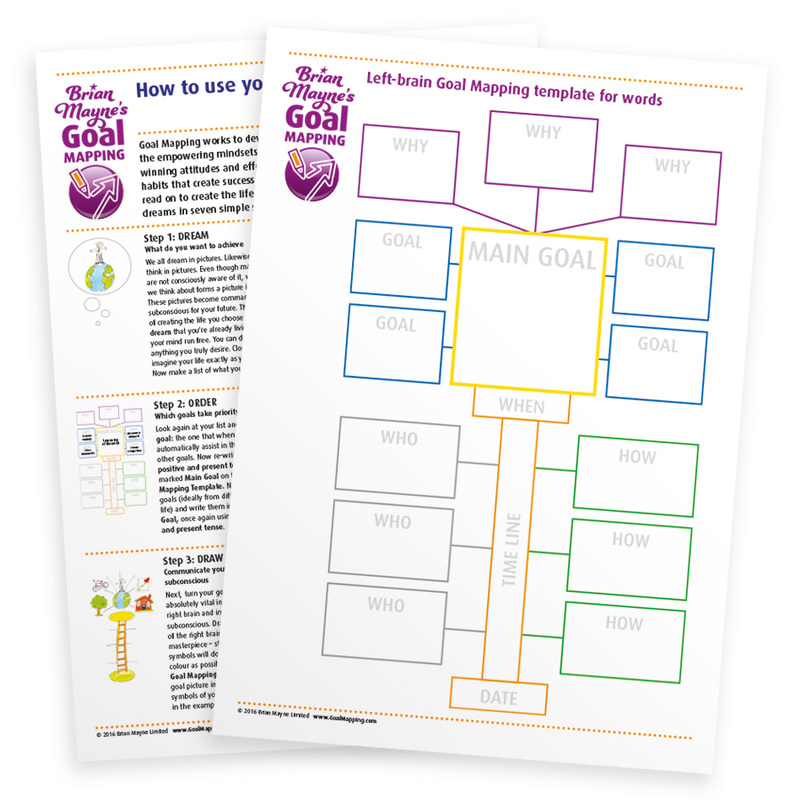 Download and print a set of FREE Goal Mapping templates for a quick and simple way to start Goal Mapping. 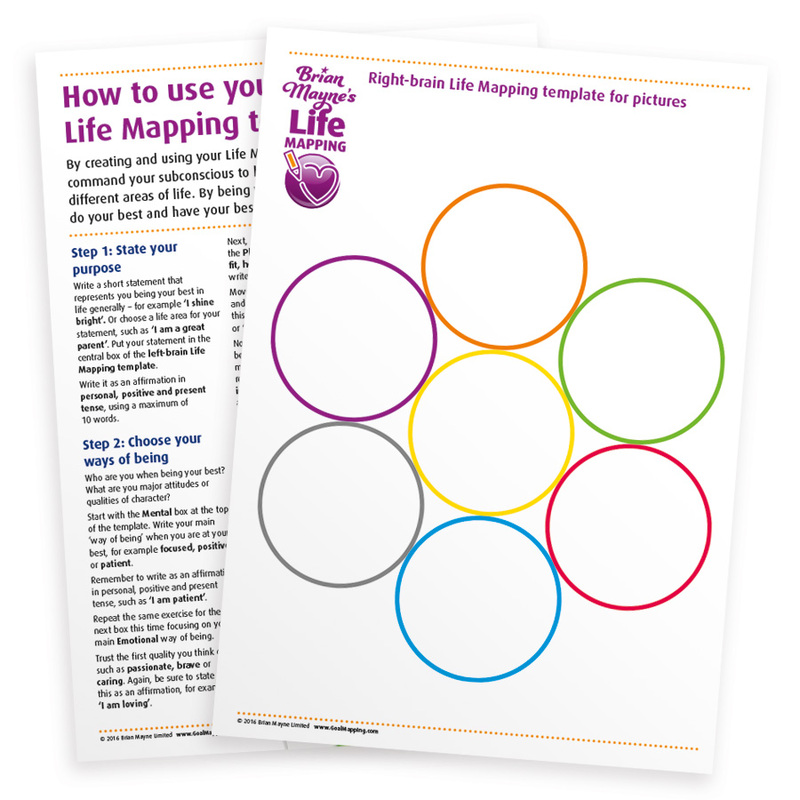 You can also get FREE Life Mapping and Self Mapping templates now as well! Just click the button, fill in the registration form and we’ll email you a download link. We have two types of Goal Mapping templates. The standard set is for you to use to map your own goals. The parent’s set is designed especially to help you teach Goal Mapping to your children. Life Mapping completely complements Goal Mapping. It is a unique personal empowerment system created to help you find your prime purpose in life and be your very best in everything that you do. Get started with the help our FREE templates, reading the Life Mapping book, or by keeping your eyes on our events diary for a Life Mapping workshop. Self Mapping helps you to boost your self-belief and lift your self-esteem so you can naturally live your best life. Like a magnetic mirror, your Self Map reflects an image of your highest potential and helps to attract abundance into your life. 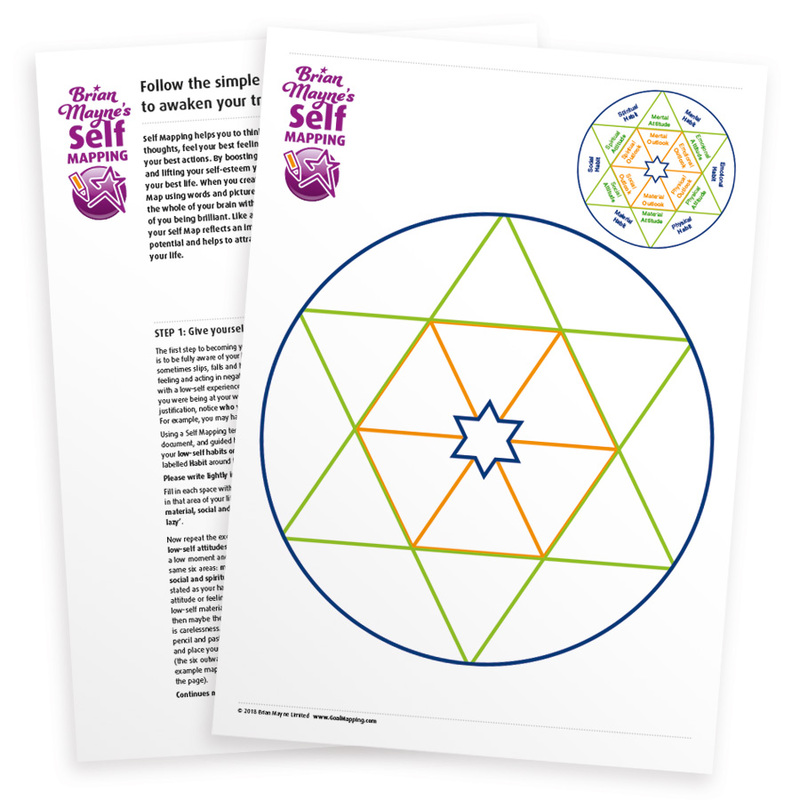 Get started by using our FREE templates, reading the Self Mapping book, or attending the Shine Experience.